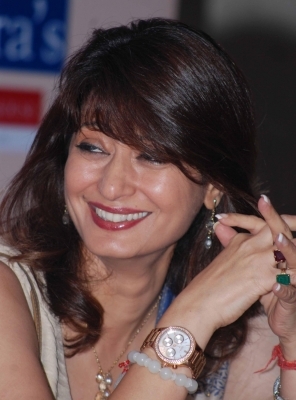 New Delhi, July 24 (IANS) Yet to make a breakthrough in the case of Sunanda Pushkar, wife of Congress MP Shashi Tharoor, Delhi Police has asked a high-level medical board to give clarifications on different findings and opinions given by forensic labs and the autopsy reports of AIIMS and the FBI to ascertain the cause of her mysterious death. In a status report placed in the Delhi High Court on Saturday, police also plan to send the mobile phones seized during investigation to the manufacturers abroad for chip level retrieval of information, which was deleted, since Indian labs have shown inability to recover them. The report said the investigation was in an advanced stage and a second meeting of the medical board constituted by Director General of Health Services along with Central Forensic Science Lab (CFSL) and Forensic Science Lab (FSL) experts was expected to be convened soon. Information provided by the Federal Bureau of Investigation (FBI) will be discussed. Pushkar was found dead in a five-star hotel in south Delhi on January 17, 2014. It remains a mystery how she died. Police said that on February 25, 2015 a total of 25 exhibits including mobile phones, hard disk, laptop, pen drives of various people including close friends of Tharoor and Pushkar were sent to the CFSL in the CBI. “There result is yet to be received. Request to expedite the same is being regularly made through visits, reminders and letters,” the report said. A request has been made to the DGHS medical board to convene a second meeting to give clarifications “upon the different findings of CFSL and FSL, different opinions given by autopsy board of AIIMS and reports received from the FBI, and to further ascertain the cause of death”. The report recalled that the first postmortem report of the All India Institute of Medical Sciences (AIIMS) of Janury 20, 2014 said the cause of death was “poisoning, the circumstantial evidence was suggestive Alprazolam poisoning”. A total of 15 injuries including teeth bite and injection prick marks were found. In the second opinion on August 20, 2014, the autopsy board of the AIIMS said the cause of death was opined as poisoning. “In the last page of this report, the AIIMS autopsy board made a mention of those portions which are beyond detection in Indian forensic labs owing to technological constraints: Thallium, Polonium-210, Nerium Oleander, snake bites, etc. “It was also suggested that the bed sheet, pillow covers, etc. used by the deceased prior to her death be also subjected to forensic analysis,” the report said. On December 29, 2014, the third opinion of the autopsy board was received in which it said Pushkar was neither ill nor having any disease prior to her death. On the basis of the third opinion of the autopsy board, a case was registered under IPC provisions of murder after registration of an FIR. A Special Investigation Team was formed to probe the case. Immediately after the receipt of the second opinion of the AIIMS board, mutual legal assistance treaty proceedings were initiated for sending the viscera remnants to an FBI lab in US for examination. On September 23, 2015, a FBI report regarding chemical analysis of viscera was received. It mentioned that Alprazolam and Hydroxy Chroloquine were detected in viscera organs, whereas Nicotine, Cotinine, Alprazolam, Lidocaine and Hydroxy Choloroquine were detected on the clothing of the deceased. Further, Nicotine, Cotinine, Alprazolam and Lidocaine were detected on the bed cover and the bed sheet. The report said the FBI report on November 6, 2015 stated that the levels of possible contamination were found less than the values specified in the International Air Transport Association’s Dangerous Goods Regulations. On November 16, 2015, Shiv Menon, son of Pushkar, sent an email to Delhi Police Commissioner seeking an independent medical board for providing definite opinion regarding his mother’s death. After police sought the fourth opinion of AIIMS autopsy board on the basis of the FBI reports, the autopsy board unanimously concluded the cause of death as poisoning by excessive ingestion of tablet Alprozolam. “The board, however, did not rule out the possibility of (1) any injectable poison in view of injury number 10 (prick mark), (2) death because of Lidocaine (which found mention in the FBI report) and/or (3) insulin/any other hypo-glycaemic agent regarding which a suggestion was made to investigate whether any person in the vicinity of the deceased was in its possession,” the status report said.